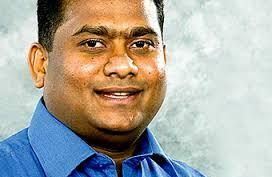 A former Deputy Minister of the SLFP led United People’s Freedom Alliance (UPFA) lashed-out at Prime Minister Ranil Wickremesinghe saying he was engaging in the same unacceptable tactics enacted by former President Mahinda Rajapaksa. "The PM is worse than the former President", Parliamentarian Premalal Jayasekera told The Island pointing-out that people’s expectations about Yahapalanaya had now been irreparably shattered. The former Deputy Minister, affectionately called "Choka Malli" by his friends and supporters in "the City of Gems," said that the ex-President would have won the last Presidential election if wrong doers in his party weren’t spared. "He also listened to tales of MPs who didn’t work at all for the party, but gave them all the perks for tale-carrying," he alleged. Premalal Jayasekera, against whom there is a Court Case over the murder of an individual at a rally in the run up to the 2015 presidential election, cited the latest Ranjan Ramanayake incident and Central Bank Bond scams centering on Premier Wickremesinghe’s hand picked Governor Arjuna Mahendran as classic examples of violation of good governance. "Believe me…although people consider me a rough character… I have never ever ridiculed a Government Servant like what Ranjan Ramanayake did! Nor did I engage in plundering people’s hard earned money like what Arjuna Mahendran did," the Ratnapura District Member of Parliament said.